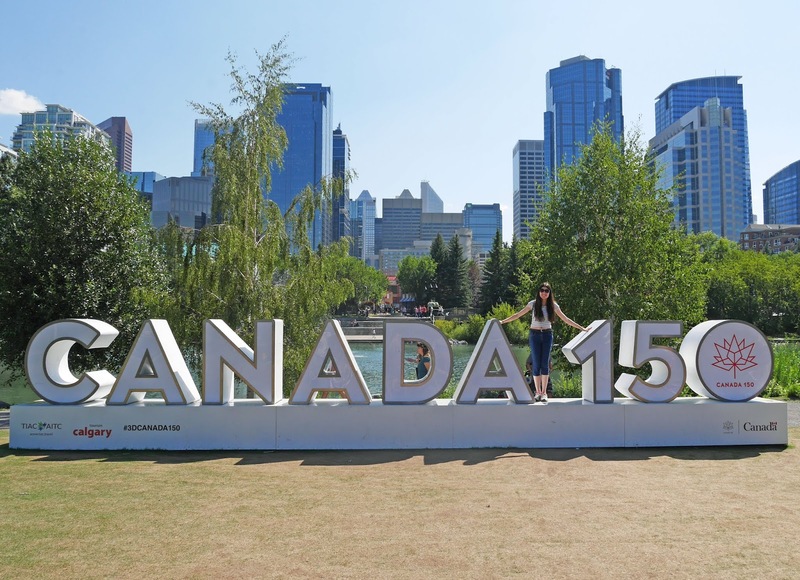 Food was the lowest priority for our Canada trip last Summer, which is funny because I ended up having some of the best meals I’ve ever had whilst we we were in Alberta. Most of the time we stopped at convenient fast food places which ended up being way better quality than what we’re used to at home and on the occasions where we actually scheduled in time for sit down meals, we were able to eat a variety of different types of food. Calgary in particular had some fabulous restaurants, which kept us very happy after busy days of sightseeing. 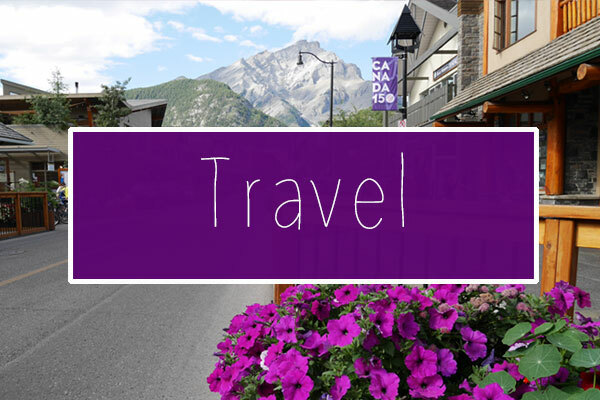 In today’s post I’m going to talk about some of the food we ate in Canada which ranged from pancakes with maple syrup for brunch to the love-hate local dish of poutine for dinner. On our first night in Banff National Park, we had dinner at The Eddie in Banff town. The Eddie specialises in burgers, but we actually had the local dish poutine here. 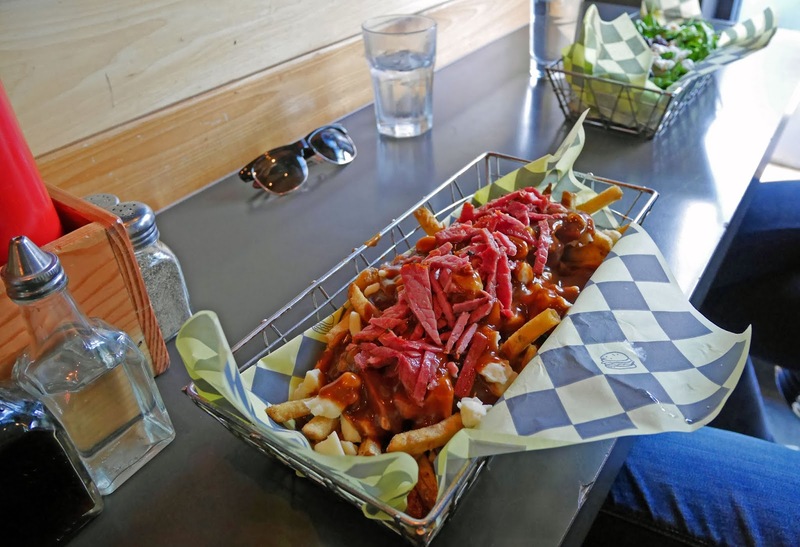 The base ingredients for poutine are chips, gravy, cheese curd and some sort of meat. It was quite a stodgy dish, but I’m really pleased that we made the effort to try Poutine whilst we were in Canada. The town at the heart of Watertown National Park is tiny, but we still managed to find a table service pizza restaurant for dinner. It rained heavily during the afternoon that we were in Waterton and I was relieved that there was somewhere for us to go for a sit down meal, that would also shelter from the bad weather. 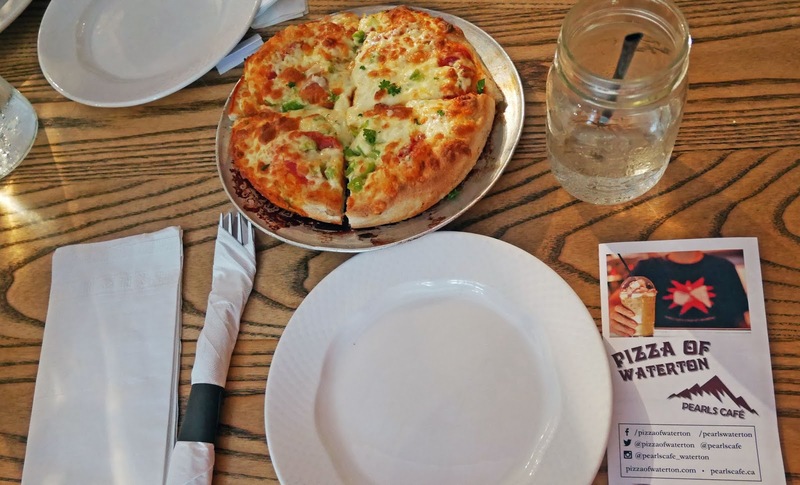 The restaurant was packed and the food was delicious, which is why I’d thoroughly recommend Pizza of Waterton for dinner. 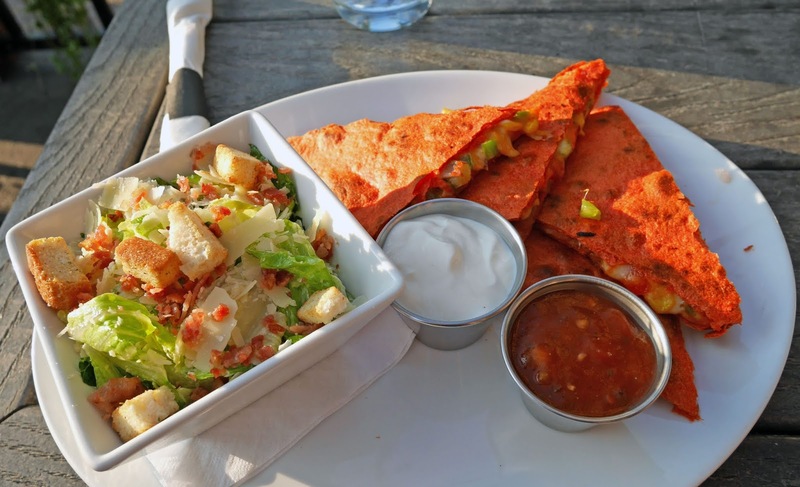 I have a lot to thank 4th Spot Kitchen and Bar for as we now have quesadillas frequently for dinner because of how much I enjoyed them in Calgary. I had sweet potato quesadillas in town after we got back from Watertown National Park and it was so nice to find veggie Mexican food on the menu. We were sat at a lovely outdoor table overlooking one of Calgary’s neighbourhoods and it was the perfect place to sit on a warm Summer evening. We ate at Joey Barlow’s on our final day in Canada and it was this meal that was the best of the trip. 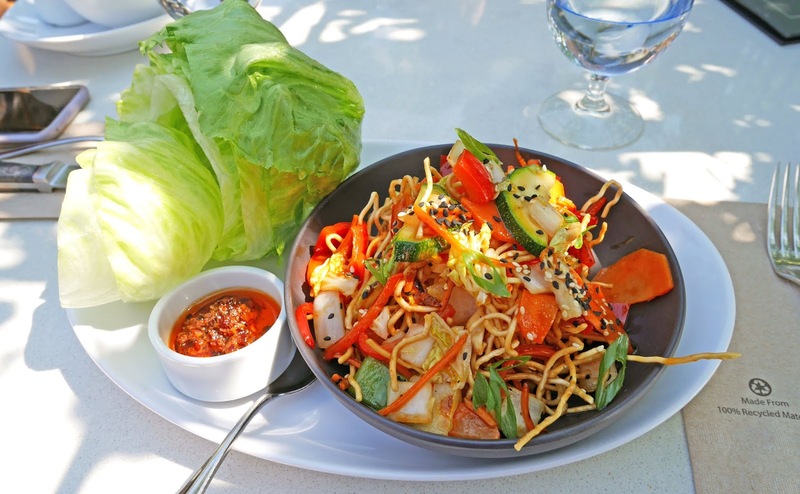 I had Thai lettuce wraps that were filled with noodles, vegetables and spicy sauce, and after lots of less healthy meals, I was so pleased to find a tasty vegetarian meal. The outdoor seating area at Joey Barlowe’s was surrounded in flowers and my inner Instagram addict was absolutely delighted. Good food in a pretty setting? What more could we want for our last meal in Calgary. 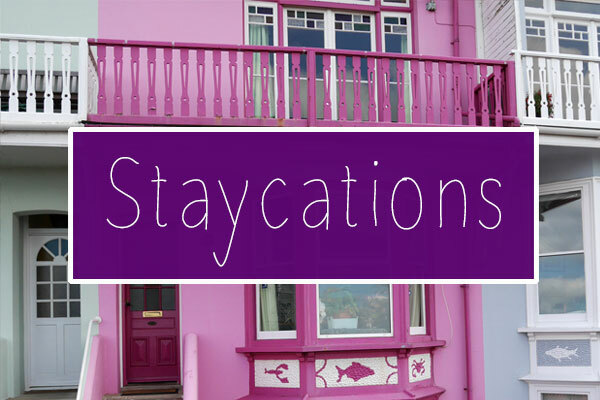 When we were visiting the national parks, we opted for quick service meals most of the time because we wanted to have the optimum amount of time to explore the parks. In Jasper we had burgers on the first night at A&W and on the second night before we left the area, we stopped at a local takeaway pizza place. 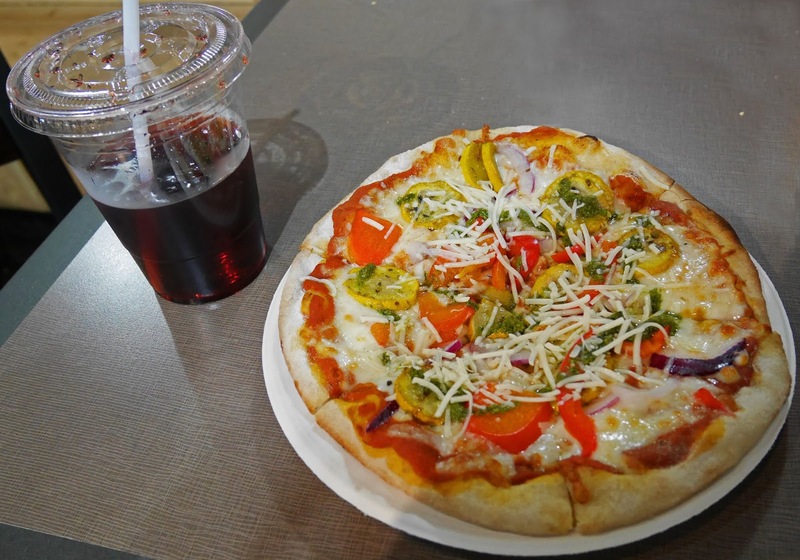 In Banff we had the yummiest pizza at the Rocky Mountain Flatbread Company: a food court outlet in Banff town. The Rocky Mountain pizzas had healthy ingredients, which certainly provided us with a unique pizza experience. Most of the time in Canada we had cereal and fruit for breakfast where we were staying, but on two occasions we had special brunches. I mentioned this in my authentic experiences we had in Alberta post last year, but Kirsten’s parents cooked us pancakes with maple syrup and bacon on one of the days that we were heading into Banff. 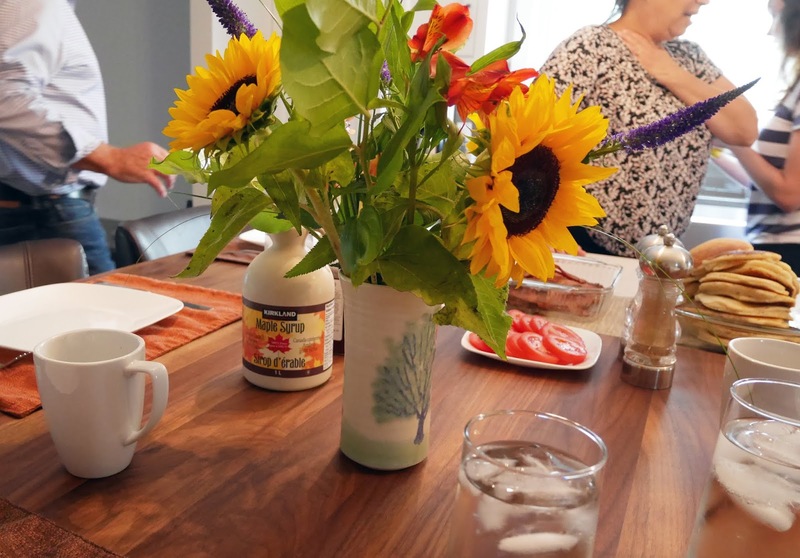 It was a real treat for us getting to enjoy an authentic Canadian breakfast and it was so kind of Kirsten’s family to host us for the morning. 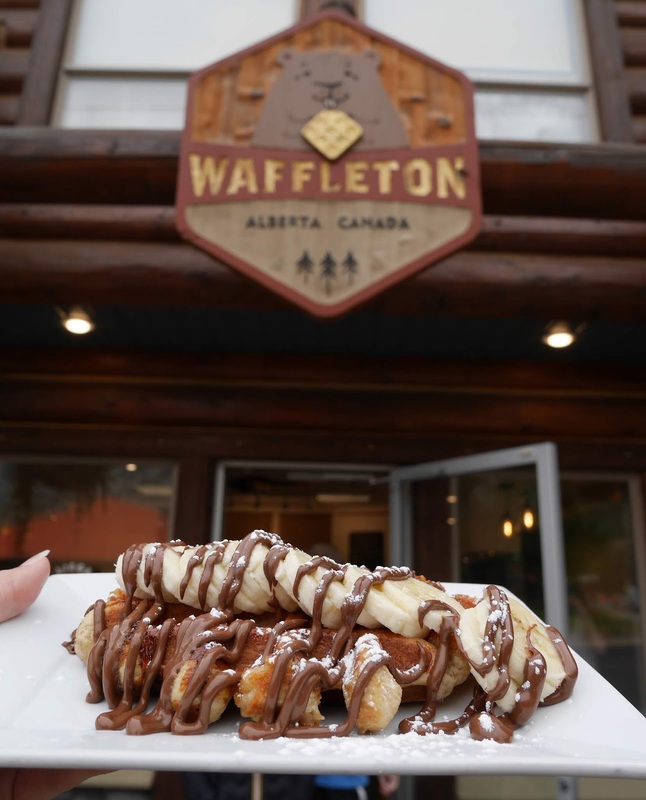 The second special brunch we had was in Waterton National Park, where we got to have waffles. Waffleton was so busy in the morning, mainly because lots of people from the campsite had decided to go there for breakfast (us included) and after a long night camping, what’s more tasty than chocolate coated waffles. We certainly got to experience breakfast with a view here, as we were able to admire the mountains from the outdoor seating area at Waffleton. Tim Horton’s deserves a special mention here as we were in one of their branches on almost everyday of the trip. 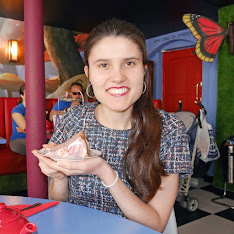 Their doughnuts are what makes them popular with Canadians but as someone who doesn’t actually like the taste of doughnuts, I had the opportunity to try some of their other goodies instead. From muffins to cookies, I was able to find a snack to go with a cup of tea. 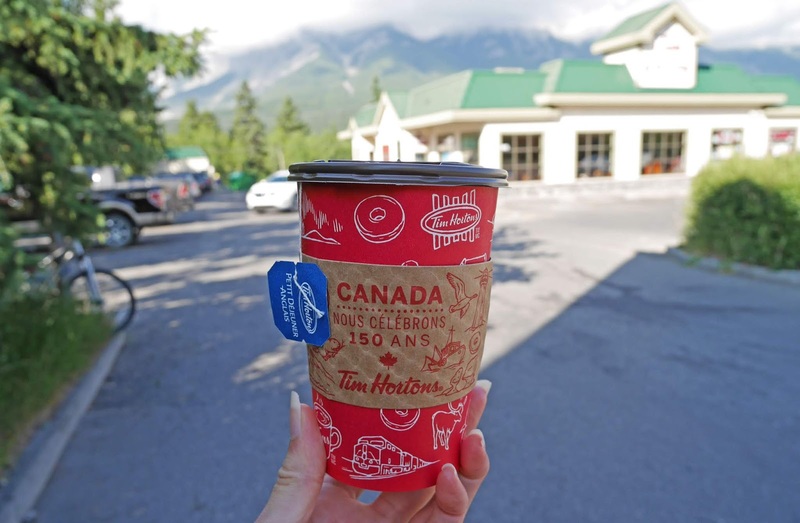 My lifestyle is quite hectic and I rely on tea a lot to keep me awake, so I was very happy to find that I could get tea easily at Tim Horton’s throughout the trip. For an action packed trip, we got to enjoy lots of delicious meals in Canada. Next time we head back to the area, I’d love to try more of the sit down restaurants in Banff. 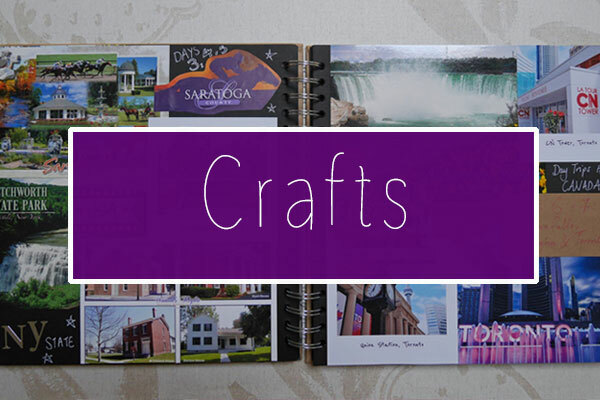 Most of them were a bit pricey for our budget this time around, but they’re certainly places that we can strive to afford in the future. Have you ever been to Canada? What food did you eat whilst you were there?